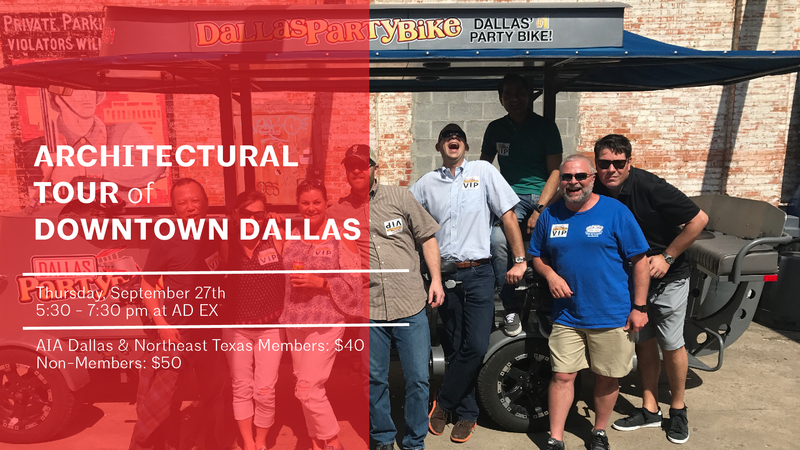 Experience the unique architecture of Downtown Dallas on a party bike! Greg Brown, Program Director for the Architecture and Design Foundation, will guide our tour through Downtown Dallas, pointing out the types and eras of architecture along the route. Meet at the Architecture and Design Exchange. Wear comfortable clothing and shoes that allow you to pedal a bike.